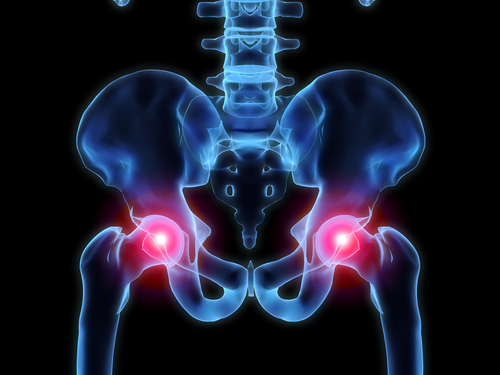 Hip scope surgery is a relatively new procedure, becoming widely more available in the last five years. It has been around for knees for quite some time, but the hip joint is much more difficult to access using a scope. It is useful when there is a focal cartilage injury (most of joint is normal and one little part is damaged) on the acetabular (socket) side of the hip joint. If arthritis is to advanced or cartilage tear is too large then it probably won’t relieve symptoms. Patients having this procedure tend to be under 50. A hip scope is done mainly to treat symptoms. Clicking and catching which causes pain are common symptoms and the damage is not always evident on an MRI, meaning that we often have to explore a bit to see what we can find. The procedure can be very successful but it can also be disappointing if we don’t find any pathology. There is actually no scientific evidence that hip scope surgery delays the need for joint replacement (it is a difficult thing to measure), but it is often successful at improving symptoms and it may indeed prolong the life of the natural joint.